Guitarist, lutenist, author and teacher, Frederick Noad grew up in England. Originally trained on the violin and piano he took up the guitar in his early teens. After graduating from Oxford he came to California in 1957 to organize a story department for the J. Arthur Rank Organization in Hollywood. When the film company suffered some setbacks and had to curtail its U.S. plans Noad decided to stay on. Soon after he was offered a job playing the guitar, which had become a favourite avocation, and he began to teach and to write for the instrument as well. Thus began a long and happy (if unexpected) musical career. 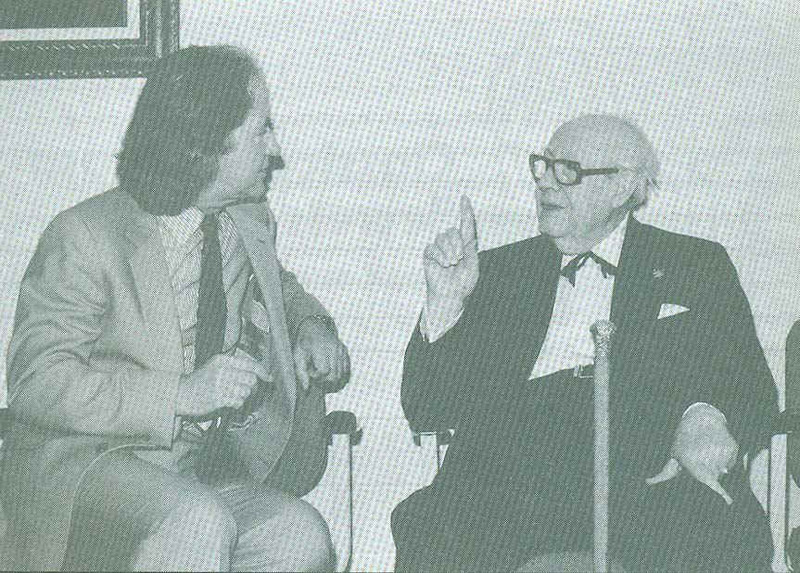 At this time he studied composition with Mario Castelnuovo-Tedesco at the latter's home in Beverly Hills and attended master classes of Andres Segovia and Julian Bream as a performer. Noad's first book, "Playing The Guitar" became a paperback best seller in the sixties, and this success lead to a succession of further instruction books and anthologies (listed below). In 1966 Noad launched the award winning TV series "Guitar with Frederick Noad" for PBS The programs were enthusiastically received from coast to coast, and were credited with introducing 100,000 new players to the instrument. The currently running educational television.series is a colour remake of the original with the benefit of the latest electronic techniques . Noad has been a faculty member of the University of California, Irvine, and the California Institute of the Arts. He has performed as a soloist, as part of a duet team, in concert with a lyric tenor and also as a continuo player in early opera. In addition to the guitar he plays the lute and theorbo.